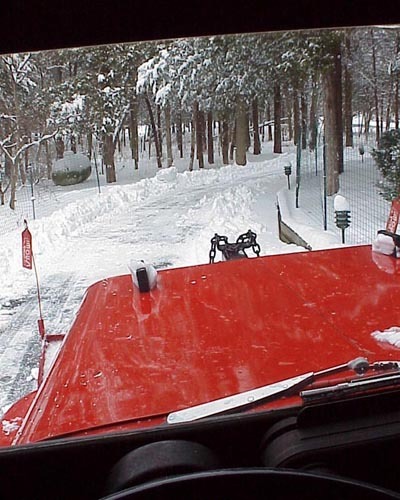 One morning in early 2003, John Belden got up to find the first big snowfall in New Jersey since he got the bodywork and paint done on his 1962 CJ-3B. Although he'd been plowing with the Jeep since 1995, it was going to look a lot sharper now. "I went over to see the 'old Jeep' and it turned out to be this Willys CJ-3B. 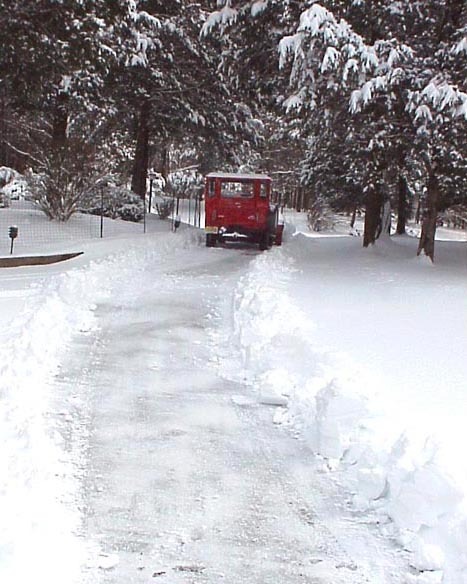 I drove it around a little and it met my criteria (cost less than putting a plow on my pickup truck, had heat and a seat, and could be registered for road use.)" After a number of mechanical repairs during the years since then, John decided in 2002 it was time for some cosmetic improvements. He took these action photos to document his first time out with the new look. See more photos and details on John's 1962 CJ-3B and its New Paint for the 40th Birthday.